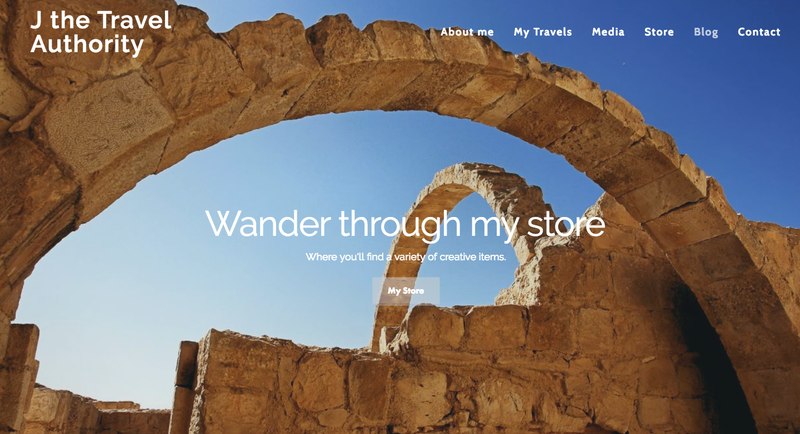 TripBase, a very popular travel blog, recently started a tag-you’re-it game across the travel blogosphere. 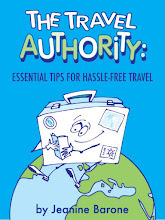 The idea is to collect a cool list of across-the-globe travel secrets from as many travel bloggers as possible. At some point, this list will be a Creative Commons roundup that I’ll be able to share with you once it's available. I’ve just been tagged by two of my favorite travel bloggers, Melanie of TravelswithTwo and Robin of MyMelange to contribute my top three travel secrets. 1. Florida's Panhandle sometimes gets a bad rap, often because overdeveloped Panama City gets so much attention as a haven for spring break revelers. But there's that other Florida Panhandle, the authentic one that presents so many opportunities to explore some pristine beaches you might have difficulty choosing which ones to lay down your beach towel. In fact, over the past many years, some of these beaches have made it on to Dr. Beach's Best Beaches in America list -- a list with some 50 key criteria, including water color, scenery, urban development, sand quality and more. Here are some of my favorite picks where blinding white sandy beaches are the rule and where, depending on the time of the year, I've found sections with more shorebird tracks than footprints. Nine miles of dunes make St. Joseph Peninsula State Park particularly appealing. Shallow waters make also make it ideal for novice kayakers and a haven for migratory song birds, though it's also possible to spy hawks soaring overhead. 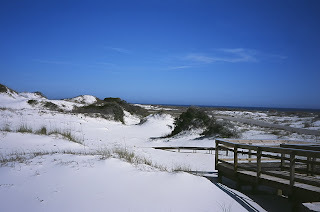 St. George Island State Park is blessed with miles of sugar-white sands bordered by salt marches and oak and pine forests. Off the beach there's also good fishing for red snapper, mackerel and pompano. At Grayton Beach State Park, you can swim in emerald green water, gaze at sea-oat covered dunes, and hike through a lovely pine forest. St. Andrews State Park gives you the choice of swimming in the gulf or in a quiet tidal pool. From the beach, snorkelers are treated to multi-colored fish among the granite boulders of the jetty. 2. Surrounded on three sides by the sea and ringed by defensive Genoese watchtowers, Alghero makes for a picturesque town, especially given its fortified ancient quarter. Yet, many of those who visit Alghero with its fortified quarter never seem to leave their beach blanket. Set along the less developed west coast, Alghero has so much more to offer than swaths of sand and aquamarine waters that are perfect for boating. A sense of history pervades the old quarter that's still surrounded by Genoese watchtowers. On a self-guided audio tour, I climbed to the 20-meter-high terrace of the 16th century Porto Terra Tower for the panoramic views. Though the beaches lining the coast of this resort town as well as those in nearby Fertilia get all the tourist attention, there are an array of day trips (many within cycling distance) sure to delight those who care little about sunning on Sardinia's sands. For example, I picked up an audio-guide at the Palmavera Nuraghe and meandered these ruins in this prehistoric village, one of the most complete of these Bronze Age complexes. Drive or bicycle through the little-visited Regional Forest of Porto Conte and you'll quickly understand why the protected land of oaks and pines is dubbed Noah's Ark. Unique white donkeys, small horses and Tibetan goats are just a few of the curious creatures wandering about. Though most visitors sign up for a boat tour to reach the famous Grotto di Nettuno with its cave network, a more memorable journey is to take the 654 steps of the Goat's Stairway down the cliff face. Not far away at Porto Ferro, three Genoese watchtowers guard Sardinia's longest beach where surfers flock to take on the crashing waves. Bird watchers often drive or bike to nearby pine-fringed Lake Baratz, Sardinia's only natural lake, where you may spot grebes and mallards. 3. Barcelona, Madrid and Andalusia get so much tourist traffic but it's the little visited Extremadura region -- one of Spain's least visited regions and the birthplace of Cortez, Pizarro and other Spanish conquistadors that provides so much inspiration for me with its rural landscapes of olive trees and Holm oaks, craggy mountainsides coated with pines and chestnuts trees and historic towns, Guadalupe, Merida, Trujillo, Zafra and Caceres, laced with labyrinthine streets. Each has a distinct character and is worth a visit: Trujillo http://www.spain.info/ven/otros-destinos/reportaje/trujillo.html?l=en for its palaces bearing the coats of arms of prominent families; Guadalupe for its massive monastery that's a UNESCO World Heritage site and one that houses a wealth of museums with elaborate embroidered vestments, reliquaries, ancient books of Gregorian chants; Merida that has some of the most complete set of Roman ruins around - so much so that I was able to jog along the periphery of the Roman Circus where chariot rides once took place; and, every June in Caceres, the capital of the province and another UNESCO World Heritage site, hosts the Classic Theater Festival where the works of the gold age artists can be experienced. In whitewashed Zafra, though I didn't stay in one of Spain's most impressive paradors that's housed in a 15th century fortress-palace, I enjoyed the property's best feature: it's white marble Renaissance patio where I dined one evening on guinea hen in puff pastry. Instead, I stayed at Hotel Huerta Honda, the next-door property that was once the site of the castle's farm. In fact, the hotel's restaurant retains the original brick archway that was part of the fortress in the late 1400s. I also was lucky enough to visit during an annual event, De La Luna Al Fuego, when I took a historic tour of the fortress' impressive ramparts. I would've hung around longer to watch the sun set when an unexpected lightening storm cut our explorations short. EllenBarone: Ellen's website and blogs have something for everyone. I've had the pleasure to travel with her and find that she's a real Renaissance woman who always gives me great tips and something new to think about. JourneyWoman: Evelyn is a supreme resource for all things any woman will need when she's on the road, whether it's staying well or wondering what's appropriate to wear in different international destinations. CiaoBambino: Ami provides a wealth of family-friendly travel advice. I don't have kids but, if I did, this would be one serious resource. EuropeUpClose: Terri's just got so many fab tips, deals, news items and advice on so many European destinations. I'm in Europe frequently and I always find something here I didn't know. Italylogue: Jessica rounds up an amazing array of everything you need to know about traveling to and enjoying Italy. Hi Lisa, Always great to have your comments. Thanks. And glad I could add cool places to your ever-growing list. Interesting take on the Panhandle - you've opened my eyes. Hi marthaandme, I know what you mean. I visit Florida alot and, for me, it was a surprise to find so many clusters of preserved land teaming with birds and other creatures. Great list. Most people would never think of spending time in the Panhandle. Hi Frugal Kiwi, Glad you like the list. The Panhandle is my very favorite part of Florida. And, what I've posted here only touches on the vast amount of unspoiled places to be found there. Totally agree with the Frugal Kiwi. We got to Fla every year to visit family, so that's probably why I don't think of it as a vacation spot anymore. You've really shown it's beauty. Hi Alisabow, Yes, of course when one visits family, wherever they are, that region kind of falls off the vacation venue list. Thanks for your kind comments. I'd love to go to ALL these places. I love that this tag-game is revealing all secrets. For the first time in years, though, we are staying put for the holidays. Our travel bank is empty in these hard economic times. Hi Jennifer, The tag-game is a great idea. Glad I got tagged. I'm hoping the economy starts to recover really soon. Wishing you fun holidays. Oh, how I'm dying to get away. That beach looks so peaceful. Hi Peggy, These Panhandle beaches are amazing. I've visited each of these many times and they never disappoint. I'm with Lisa--where do I sign up to start traveling? I wouldn't have thought of the FL panhandle as a top spot either. Hi ReadyMom, I know. I can't get over how surprised I was when I first discovered these pristine beaches in the Panhandle as well as an interesting array of preserved swamps and forests that are very cool for hiking. Fab tips Jeanine, thanks for sharing! "what I've posted here only touches on the vast amount of unspoiled places to be found there..."
speaking as someone who grew up in the piney wood hills of Florida's panhandle, I'd agree, though the beaches are probably the greatest tourist draw -- that and football. I've never been to the panhandle, though I'm very curious about it. Hi Kerry, I totally agree: it's not the dense pine forests that attract visitors to the Panhandle. Too bad. They don't know what they're missing. Hi Stephanie, I think you'd love certain parts of the Panhandle that are more nature-focused. You should start a tag-game. This one's been a lot of fun. Hi Katie, Thanks for visiting and I'm glad you enjoyed the trips I posted. Hi Rebecca, Great to hear you love the Panhandle, too. I think you'd adore the Extremadura region of Spain. You've now introduced me to other travel blogs I need to start reading, including yours. Hi Claire, So glad you stopped by and hope you enjoy my posts this year. You're absolutely right about Sardinia, there is so much more than sandy beaches. I'm also on the lookout for hidden gems, and I'm starting from Sardinia, which is also my homeland. I'm discovering so many traditions I have always overlooked. It makes traveling more fascinating and it somehow reconnects with the past of humankind! Hi Angela, Thanks for your comments. Glad you're a fan of hidden gems as I am. Next time I visit Sardinia, I intend to spend another 2 weeks or so checking out what I missed the first time. I wish not acquiesce in on it. I over nice post. Particularly the appellation attracted me to be familiar with the sound story. Wow thank you for sharing this with us, them 3 places look great.